Adult St. Croix snaketail dragonflies are large, at 5 cm in length. Their eyes are large and gray. Their middle body section, called the thorax, is dark bluish-green with a single black stripe down the side. They have 6 black legs. Their long, slender tail section, called the abdomen, has yellow spots going down the back. Their tail ends in a club-shape, which gives them the "snaketail" name, since it looks like a cobra snake. Females have horns just behind their eyes that males do not. Dragonflies have two pairs of long wings with many veins on them. St. Croix snaketail larvae are aquatic, and live in large rivers. The larvae live in the bottoms of the rivers or streams, which have fast-flowing, clear water. The bottoms of the rivers are usually made up of gravel, sand and rocks. Adults live on land and in the air, and are usually near rivers and streams. They hunt for food in fields, forests, and wetlands. The areas they live are usually undisturbed by humans, often in land preserved by the government. Breeding takes place in the summer. St. Croix snaketail dragonflies are predators to many other insects, and are prey to many other organisms. This makes this dragonfly species an important part of its ecosystem and food web. They have been seen in large numbers along medium-sized, clear and clean rivers that have a high number of other animals species. This means that these dragonflies probably interact with many other species. St. Croix snaketail dragonflies do not cause any problems for humans. Ann Horner (author), Minnesota State University, Mankato, Robert Sorensen (editor), Minnesota State University, Mankato, Angela Miner (editor), Animal Diversity Web Staff. 2013. "CITES" (On-line). Accessed March 27, 2013 at http://www.cites.org/eng/resources/species.html. 2013. "Endangered Species Program" (On-line). U.S. Fish and Wildlife Service. Accessed March 27, 2013 at http://www.fws.gov/endangered/. 2012. "IUCN Red List of Threatened Species Version 2012.2" (On-line). Accessed March 27, 2013 at http://www.iucnredlist.org. 2013. "Ophiogomphus susbehcha" (On-line). Wisconsin Odonata Survey. Accessed March 26, 2013 at http://wiatri.net/inventory/odonata/SpeciesAccounts/SpeciesDetail.cfm?TaxaID=101. Minnesota Department of Natural Resources. 2013. "Ophiogomphus susbehcha/St. Croix Snaketail" (On-line). Minnesota DNR. Accessed March 25, 2013 at http://www.dnr.state.mn.us/rsg/profile.html?action=elementDetail&selectedElement=IIODO12180. 2009. "Resource Brief: Dragonflies & Damselflies" (On-line). National Park Service. 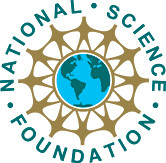 Accessed March 27, 2013 at http://science.nature.nps.gov/im/units/NETN/Education/Resource%20Briefs/ACAD_RB_Odonates_FINAL_20090721.pdf. 2013. "Saint Croix Snaketail (Ophiogomphus susbehcha)" (On-line). Wisconsin DNR. Accessed March 26, 2013 at http://dnr.wi.gov/topic/endangeredresources/animals.asp?mode=detail&speccode=iiodo12180. Borror, D., R. White. 1970. A Field Guide to the Insects. Boston, USA: Houghton Mifflin Company. Dunkle, . 2013. "Ophiogomphus susbehcha" (On-line). NatureServe. Accessed March 25, 2013 at http://www.natureserve.org/explorer/servlet/NatureServe?sourceTemplate=tabular_report.wmt&loadTemplate=species_RptComprehensive.wmt&selectedReport=RptComprehensive.wmt&summaryView=tabular_report.wmt&elKey=108266&paging=home&save=true&startIndex=1&nextStartIndex=1&reset=false&offPageSelectedElKey=108266&offPageSelectedElType=species&offPageYesNo=true&post_processes=&radiobutton=radiobutton&selectedIndexes=108266. Gibbs, E., B. Bradeen, D. Boland. 2004. Spatial and Temporal Segregation Among Six Species of Coexisting Ophiogomphus (Odonata: Gomphidae) in the Aroostook River, Maine. Northeastern Naturalist, 11: 295-312. Lyons, R. 1999. "Damsels and Dragons - the Insect Order Odonata" (On-line). Accessed March 27, 2013 at http://casswww.ucsd.edu/archive/personal/ron/CVNC/odonata/ips_odonata.html. Ross, H. 1965. A Textbook of Entomology 3rd edition. New York, USA: John Wiley & Sons, Inc..
Sabet-Peyman, J. 2006. "Introduction to the Odonata" (On-line). UCMP Berkely. Accessed March 27, 2013 at http://www.ucmp.berkeley.edu/arthropoda/uniramia/odonatoida.html. Schultz, T. 2009. Diversity and Habitats of a Prairie Assemblage of Odonata at Lostwood National Wildlife Refuge, North Dakota. Journal of the Kansas Entomological Society, 82: 91-102. Wellhouse, W. 1926. How Insects Live. New York, USA: The Macmillan Company.